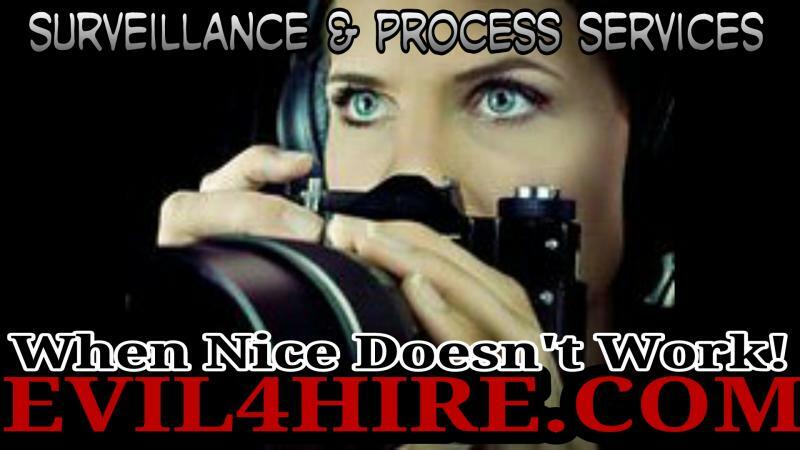 Our E4H Agents are trained, licensed and bonded as required by the State of California. 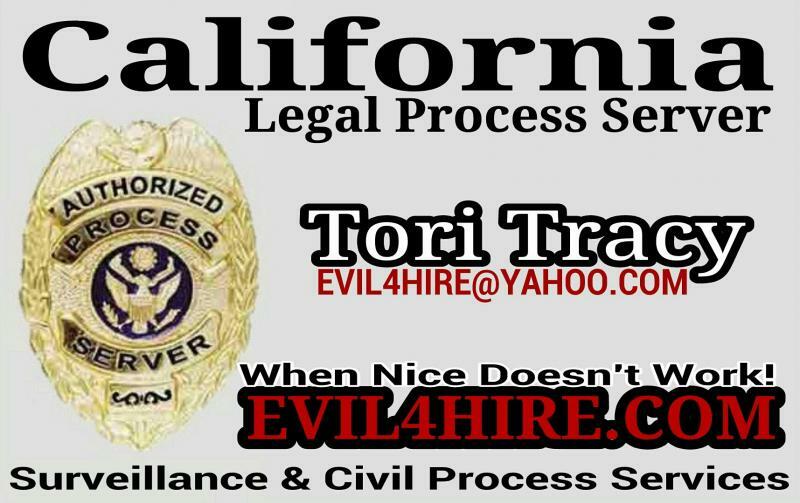 At EVIL4HIRE.COM we offer our Professional Legal process services to Lawyers, Law Firms as well as Joe Citizen. 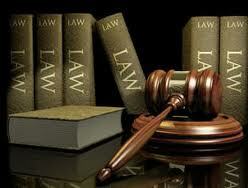 We do all types of Civil Process services. Why pay a Marshal who doesn’t take any direction from you or become familiar enough with the person you are trying to serve to be effective. When a Sheriff's Dept. 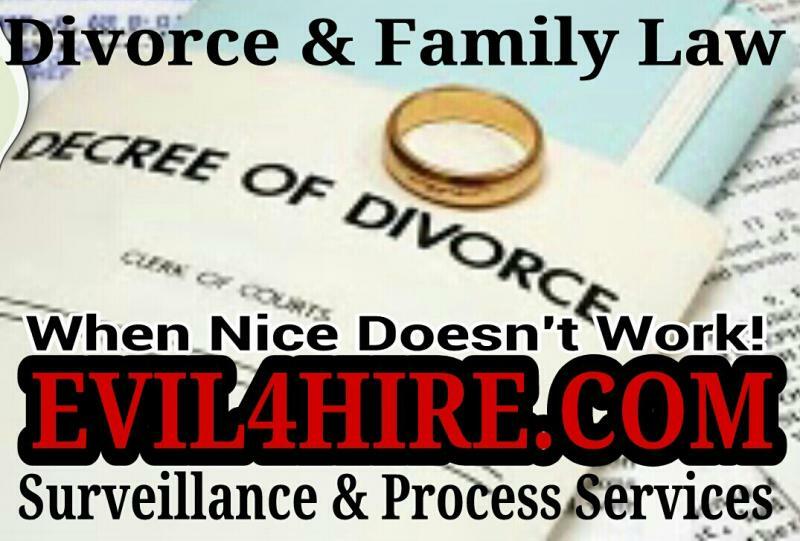 or Marshals Office takes your money to do a "civil process service" for you, let face it you don’t get much. This is not the Job they are trained for and they don’t have the time to spend to get the job done in a hard serve. These Law Enforcement Agencies will go out during business hours only and not wait or make any special attempts to get the person served. After two or three and sometime only one attempt they are done. Your service was not complete and guess what then, you either re-pay or start over again. You may run out of time for the civil Process services to be done by the court requirements, which could further delay your case and cost you more money. 1.) 3-day/ 5-day 30-day posted & served. 3.) 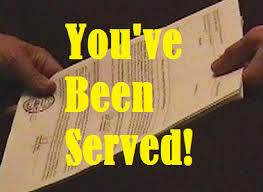 Service of your filed Unlawful Detainer. 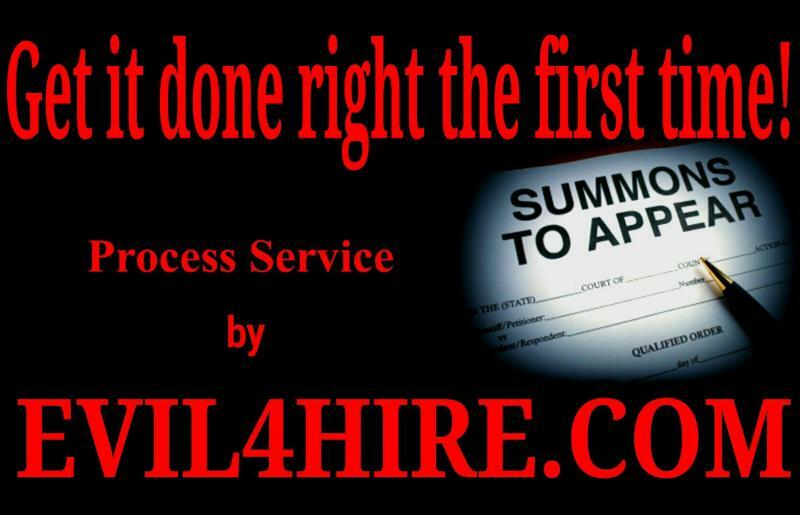 Hire EVIL4HIRE.COM to get the job done the first time! We have competitive pricing for the specialty service that we offer. 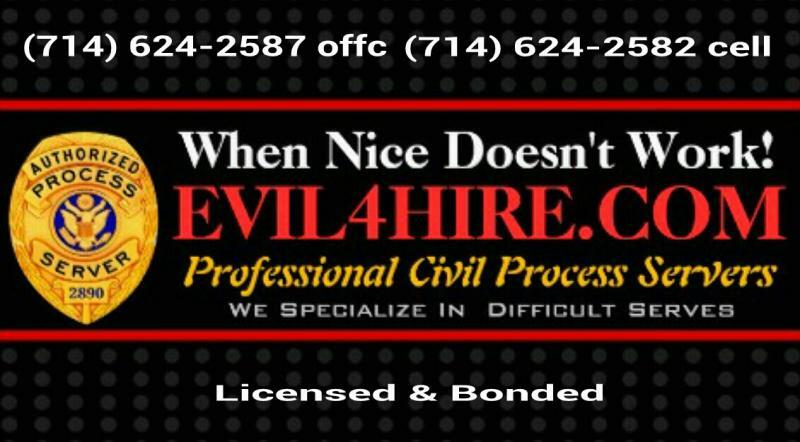 Hard and Difficult civil process serves are our E4H Agents forte. Our E4H Agents are trained to do whatever it takes within their power, to get your civil papers served. Of course within the guidelines of the law. Our E4H Agents will provide a completed Proof of Service as required by you from the court after completing all of the legal process services for you. 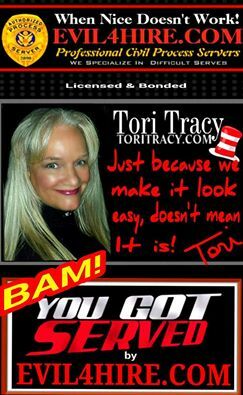 Your price is conducive to the efforts it takes to pursue a job complete. 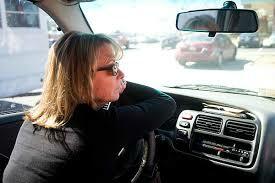 Our E4H Agents will travel to wherever your job needs to take them to get the job you need done RIGHT. If you do it right the first time, There is no second, third or fourth! 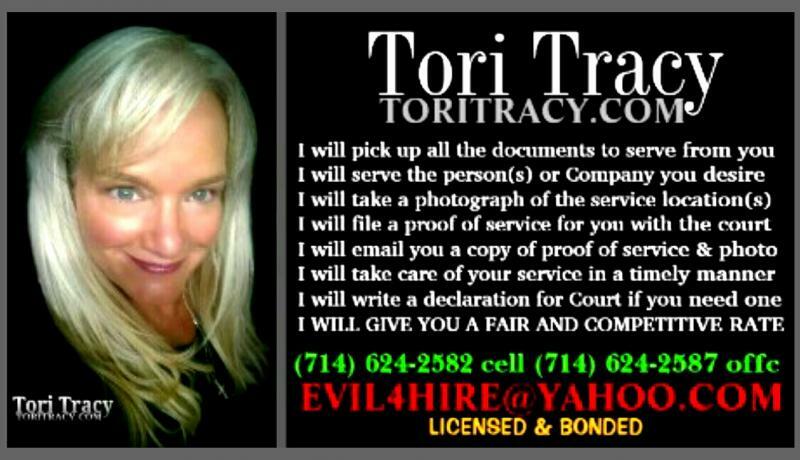 Give me a call or shoot me an email, we can discuss your Legal civil Process Service or Notary needs. 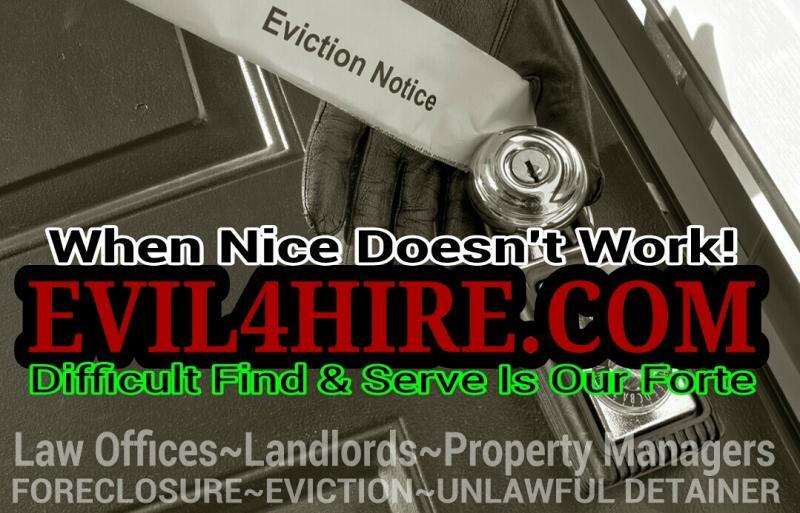 All my E4H Agents are licensed and bonded with the State or County as required. 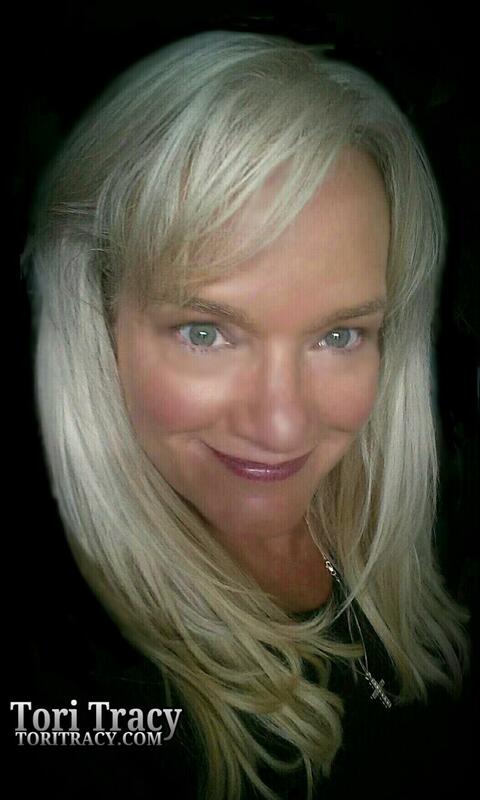 I would be glad to set up a personal or corporate account for you today, its quick and easy process.